Sometimes in the winter you just need to go somewhere warm. I considered going to a tropical island, someplace with a beach and pina coladas - but for whatever reason I just thought - THE DESERT. So this itinerary (that I was able to take advantage of with some of my free airline miles) came to me, and I was able piece together some unusual stops along the way. I landed in LA and picked up my rental car (a tip - I took an uber to nearby Santa Monica to pick up my car, it was an easy out at the airport, a quick pickup with no waiting, and saved me over $150). I started the trip out at the Pacific and took a drive to the Santa Monica Pier. I played ski ball in the arcade and took in the beautiful views (and sea lion vocalizations. I went to the Getty (I’ve been watching both Trust and All the Money in the World) and while I was certainly interested in the collection - the view alone is worth the price of admission (which is free). Next day, I did the quickie road tour of Los Angeles (Sunday morning is a great time to try to drive around without traffic) Rodeo Drive, TCL Chinese Theatre , Griffith Park Observatory and then a non highways drive across LA to Orange County to visit the Richard Nixon Library and Museum. It was Pat Nixon’s Birthday so free admission(!) - as someone who’s read a lot about Nixon and Watergate it was really a fascinating place. On the open road again, heading West towards Palm Springs. Possibly my favorite stop on the trip were the “World’s Biggest Dinosaurs” in Cabazon. CA (As seen by me in Pee-Wee’s Big Adventure and The Wizard) . WOW also to the simply gigantic wind farm here - expect a painting in the future! Stayed the night in Indian Wells - I could live forever by the pool of The Sands Hotel - and got ready for a day long adventure in the desert. 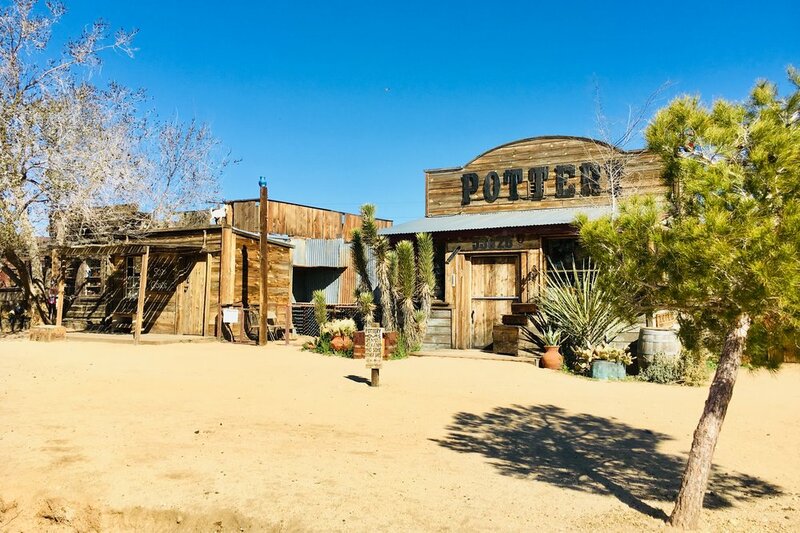 Back on I-10 to CA62 for a stop in Pioneertown! 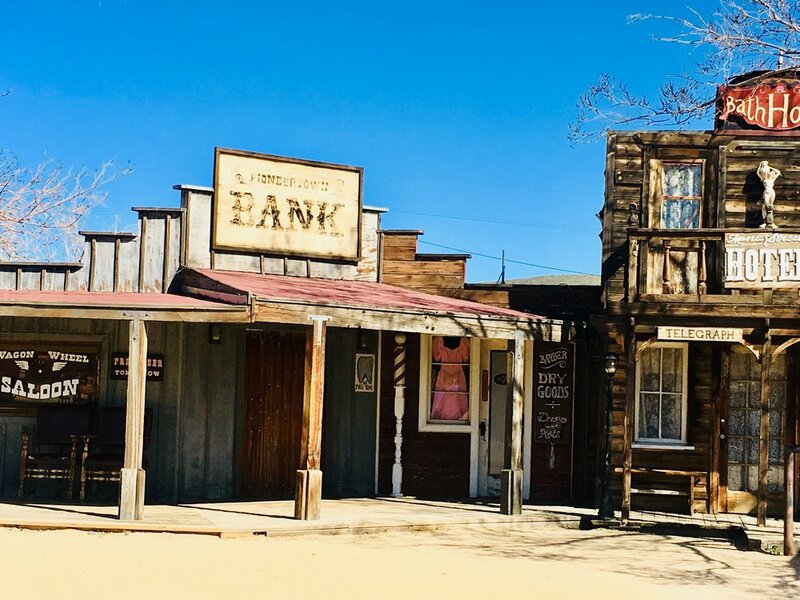 The town was constructed in the 40’s as sort of a living breathing film set of the Old West, tons of tv and movie westerns have been filmed there. back in the car, through wonderful rock formations, to Yucca Valley, 29 Palms and a sharp left up into the Mohave National Preserve. We passed rock formations, blooming desert flowers, cacti and the worlds largest forest of Joshua Trees. 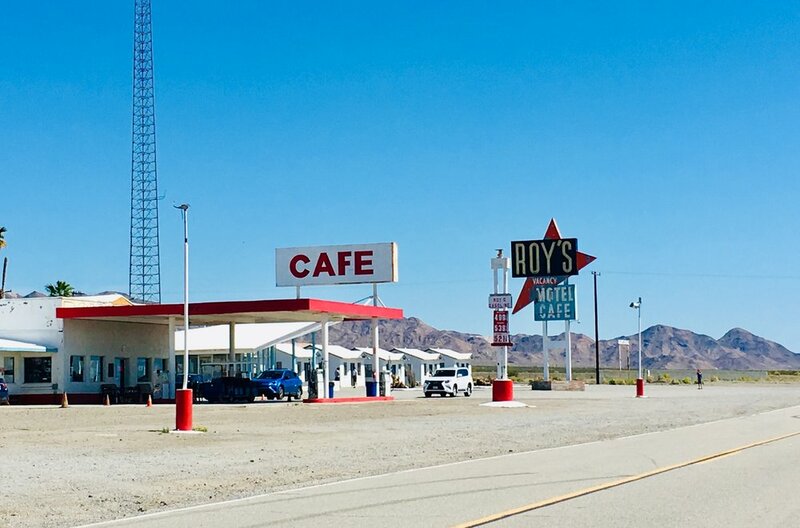 We also took a short cruise on part of historic route 66 and visited the abandoned railway depot in Kelso before connecting with the Interstate again near the Nevada border. One knows one is in Nevada by the sudden explosion of giant casino theme parks on the side of the road. The final leg of the trip was in Las Vegas, NV. 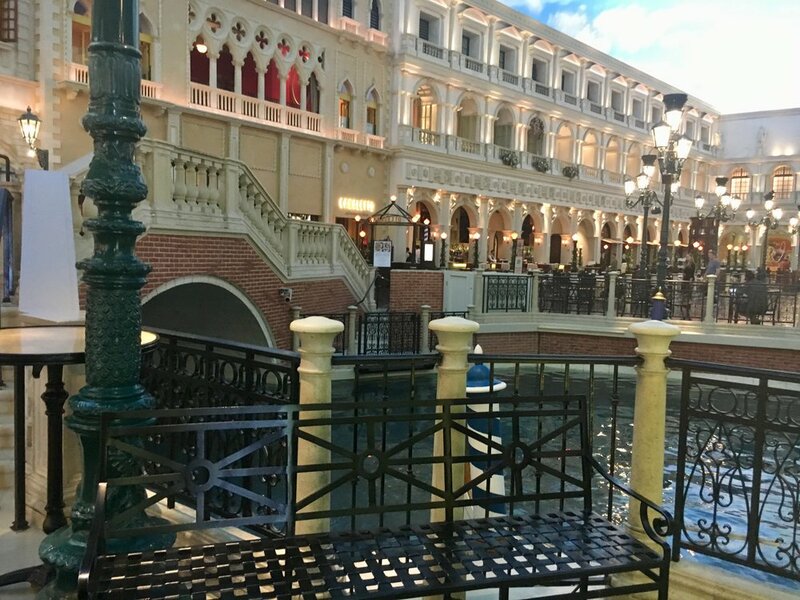 I saw Mr. Las Vegas himself Wayne Newton live at Caesar’s Palace and dined in the eiffel tower at the Paris and in an Italian piazza at the Venetian. I tried crapless craps at the Stratosphere and somehow came out $100 ahead overall in gambling for the trip. I walked from the strip down to the downtown casinos on Freemont Street and back. It was surprising to go the short distance from the jam packed strip to a pretty busy downtown and have the area in between be so empty - there were large portions of that walk without other people or cars.